Dublin, 22 September 2016: Minister of Jobs, Enterprise and Innovation Mary Mitchell-O”Connor T.D. officially opened the new Biopharma Engineering (BPE) offices in Dublin today (Thursday) and announced the firm”s expected creation of 70 new jobs over the next 3 years to support continued growth at the indigenous engineering design firm. Headquartered in Cork, Biopharma Engineering was founded 10 years ago by John O” Reilly and Richard Holohan. The company now employs 80 people and boasts an impressive client portfolio of leading global pharmaceutical and bioscience manufacturing giants. “Our company has delivered capital projects worth more than €500 million for our clients and we continue to scale in terms of markets, capabilities and ambition. 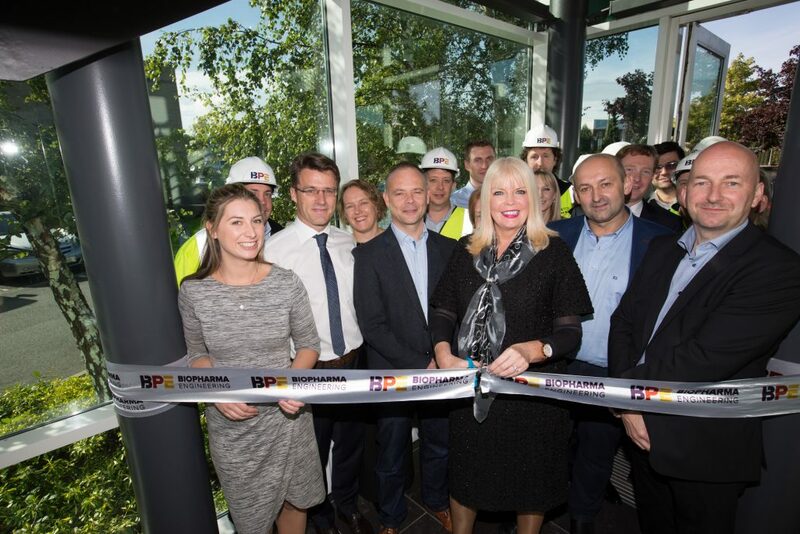 The new Dublin offices will enable us to serve our clients better and ensure that we continue to deliver the highest quality engineering design solutions that our clients have come to expect from BPE,” said John O”Reilly, Director and Co-Founder, Biopharma Engineering. BPE has doubled its workforce over the last 18 months, and has invested significantly in software and systems to serve the €100 Million large capital project arena. The company focus is to continue serving existing clients and repeat business with all of the major Pharmaceutical companies operating in Ireland, while also expanding in UK and EU markets. Recruitment is currently underway for a number of roles in both Cork and Dublin offices, where the new jobs will be based. Stephen Hughes, Manager, Construction and Cleantech, Enterprise Ireland added: “The reputation of Ireland as a supplier of high-end engineering services to the world”s pharmaceutical industries has been built over time through high levels of investment and continues to grow. 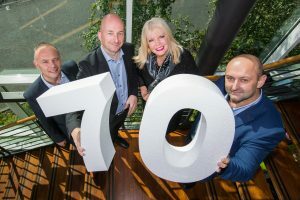 Biopharma Engineering has developed its own reputation through winning many major contracts in Ireland and is now winning business overseas with targeted customers in a number of key markets. Enterprise Ireland looks forward to working with the company as it grows, expanding internationally as a key supplier of high-end engineering services to the Life Science & Pharmaceutical sectors and creating sustainable jobs at home in Ireland”. The new Dublin Biopharma offices are located in Westland Business Park on Willow Road, Dublin 12, with the Cork offices based at the NSC Campus in Mahon, Cork.